Here are descriptions of all the Hula Classes offered. To see specific dates of the classes, click the Calendar Button or visit our Calendar page. Mahalo! We plan to be at our new home starting May 11, 2019. That address is 46 Lake Street, Oak Park, IL 60302. Please contact us if you have questions. There is also an option to come to class Tuesdays at 11:00 am; Adult Hula I & II welcomes all skill levels. Aloha! Don't forget to indicate the date and time for the class you'd like to attend. You can check the specific dates on the calendar page. Mahalo! Mahalo! We'll get back to you soon! The class will learn advanced Auana hula. Wonderful toning of the body and strengthening of core muscles can be expected. The ancient or classical dances of Hawaii that are accompanied by chanting is called Hula Kahiko. These classes are more vigorous and also emphasize the cultural aspect of Hawaii. It's a deeper dive into the stories of the dance, the translations and application to life. Many hulas are part of a hula lineage that goes back centuries through teachers such as Mary Kawena Pukui, Pat Bacon, Lokalia Montgomery, Iolani Luahine, Hoakalei Kamau’u, and Maiki Aiu Lake. The class will learn the chants and dances accompanied by chanting. Cost: $10/class. Any additional class is free. Bring payment of cash or checks payable to “Zen Life & Meditation Center” to class. Individualized attention to work on hulas - focusing on technique or learning a new dance. Open to beginners or seasoned practitioners. Call 708-297-6321 or email to make an appointment. Skype lessons also available. 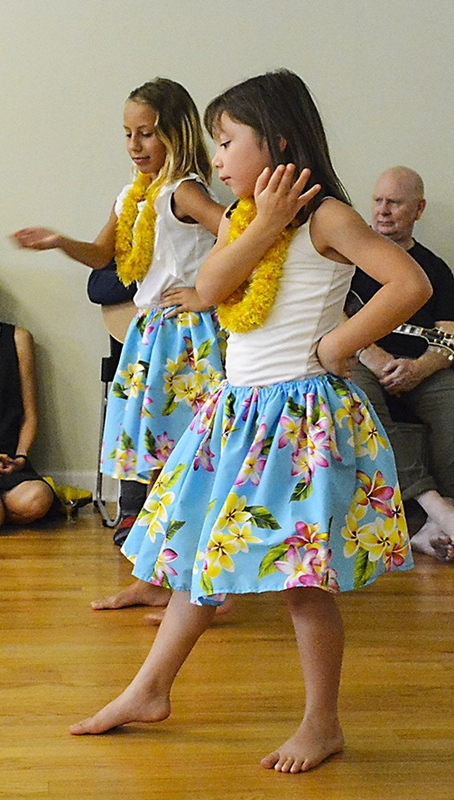 Mahalo for your interest in private Hula lessons! We'll get back you soon! 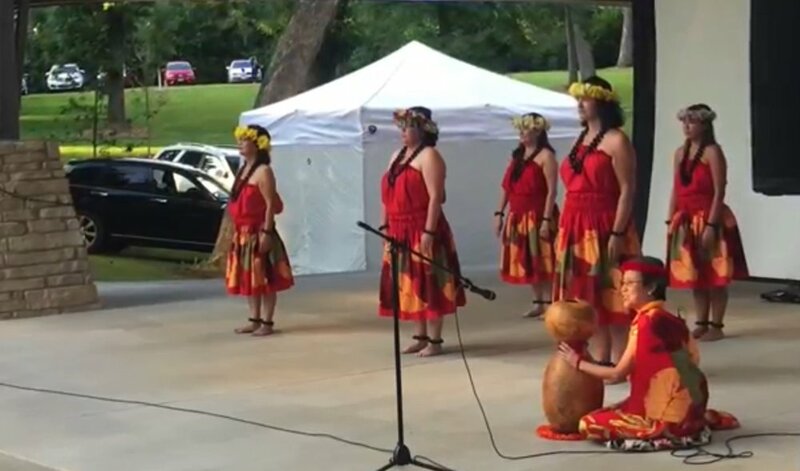 June Tanoue and students from Halau i Ka Pono are available for performances at group parties like birthday celebrations and corporate gatherings. Kumu June is also available to give lecture/demonstrations or talks on Hula and Hawaiian culture. Inquire for rates. Mahalo for your interest in having Halau i Ka Pono at your event! We'll get back to you soon! Bring payment of cash or checks payable to “Zen Life & Meditation Center” to class.